There are so many k-pop boy groups, while the groups are too numerous to mention one by one. However, some of them just disappear after debut, and only a very small minority of k-pop boy groups can become popular. By the way, there is a boy group who has been on the steady rise since its debut and is now considered as one of the most popular k-pop idol groups. Yeah, it’s BTS. 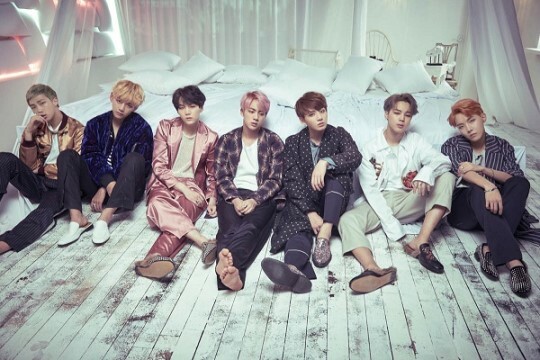 In October 2016, BTS made a comeback with its new album “WINGS” and gained great popularity not only in Korea but also in various foreign countries. The boy group has topped various online music charts and won No.1 trophies of k-pop chart shows, while it was very notable that they made a significant result on Billboard by topping "Social 50" and "World Album Chart" for two weeks straight. As BTS is enjoying a huge popularity at home and abroad, many people in the k-pop world are now saying "The boy group is the future of k-pop." Actually, BTS' success is considered as being very special by people in the k-pop industry. Because BTS is in Big Hit entertainment, which is not as big k-pop agency as SM, YG, or JYP. Achieving success as an idol group of small and medium agency in the k-pop word is much harder than you could ever have imagined. Then, what do you think is the reason for BTS’ great success? First, the main reason for BTS' success is that the boy group differentiated itself from other boy groups by doing "real hip hop" music. The group writes its own music and sings about teenager's life, arousing empathy from young k-pop fans. 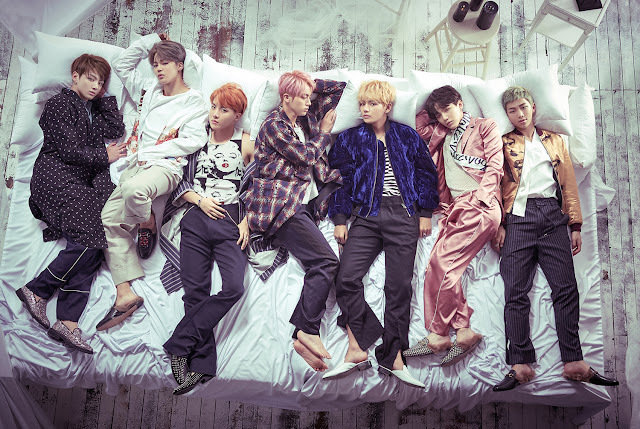 Second, some of BTS fans may disagree, but the members have ordinary looks unlike other pretty k-pop idols. They’re not traditionally good-looking, and frankly speaking, I thought they are too ugly to be idols when I saw BTS for the first time. However, because of this, they could become the hottest idol group. I mean, fans could feel more comfortable and familiar with the members because they do not look like cartoon characters. Third, BTS is an idol group, but its members, Rap Monster and Suga have released their mixtapes just like underground rappers do. By doing so, they stressed the fact that they’re different from other puppet like idols. Especially, Rap Monster, who has polished his rap skills in the Korean underground hip hop scene before debut is getting the spotlight in the k-pop industry by showing off his outstanding rapping ability. He’s been active not only as an idol but also as a rapper, and he was also featured as a rapper in the album of MFBTY, comprised of Tiger JK, Yoon Mirae, and Bizzy who are considered as heavyweights in the Korean hip hop scene. So, check out exclusive comments by the BTS members. They gave thoughts about their great success. Suga: I think we're loved by so many people because we all take part in producing our album and our lyrics arouse empathy from teens and twenties. We always try to include their pain and sorrow in our lyrics because we want to defend them. Rap Monster: I think many foreign fans like us because they can feel our energy. We want to establish a strong trust as a singer. Jimin: We've been trying to communicate with our fans through SNS. I think our fans feel very familiar with us. Jin: We don't feel pressure about our popularity. Instead, we think we have to have more responsibilities. We will try not to be too proud of ourselves.